Celgene faces a new gang of generics moving in on its blockbuster Revlimid®. Over the past year, a number of generics have filed ANDAs against Revlimid®, including Dr. Reddy’s, Zydus, Cipla, and Lotus Pharmaceutical. Those ANDAs have triggered corresponding Hatch-Waxman lawsuits from Celgene. Among the asserted patents, most of them expire by 2022, with the exception of two polymorph patents that could extend Revlimid® monopoly until 2027. The lawsuits are in their early stages, but an upcoming Markman hearing in the case against Dr. Reddy’s is shaping up to be critical to whether Celgene can protect is Revlimid® monopoly past 2022. Celgene faced its first generic contender in 2010, when Natco, Arrow and Watson (collectively, Natco) filed an ANDA for Revlimid®. That triggered a Hatch-Waxman lawsuit, wherein Celgene asserted roughly 18 patents. The case spanned nearly six years. The Court issued a Markman decision in May 2014, yet the parties settled shortly thereafter in December 2015. Importantly, the case never reached summary judgment or trial, and the Court never addressed the infringement or invalidity of any of the patents. As part of the settlement, Natco was permitted to enter with an unlimited quantity in January 2026, and with a limited quantity beginning in March 2022. The limited quantity would initially be a mid-single-digit percentage of total lenalidomide dispensed within the U.S., growing to approximately one-third of dispensed lenalidomide by March 2025. The terms of Celgene’s settlement with Natco are likely to act as a constraint on Celgene’s ability to settle with the newer generics. In its new lawsuits, Celgene’s tactics have shifted in a number of ways from its prior lawsuit against Natco. Perhaps most importantly, Celgene has asserted fewer patents against most of the current generics. Whereas Celgene previously asserted roughly 18 patents against Natco, Celgene initially asserted only seven patents against Dr. Reddy’s, Zydus, and Cipla. The exception is Lotus Pharmaceutical, against which Celgene has asserted 16 patents. This reflects a few different things. First, Celgene’s case against Natco was commenced in 2010, and at the time, Natco most likely filed Para. IV certifications against several patents, including those that expired in 2019 or 2020. That included several REMS patents that expire in roughly October 2020. Most of the new generics did not likely file Para. IV certifications against these patents. Presumably, they are instead agreeing to wait to enter until after their expiration in 2020. Given that the litigation, combined with appeal, may last until approximately 2020, there is not much lost. Lotus Pharmaceutical, however, is the exception, and Celgene’s case against Lotus asserts many REMS patents. Second, some of the newer generics appear to be seeking license for only a single indication, namely, multiple myeloma. Revlimid is indicated to treat three forms of cancer and pre-cancerous conditions: (1) multiple myeloma (MM); (2) transfusion-dependent anemia due to myelodysplastic syndromes (MDS); and mantel cell lymphoa. Celegene’s cases against Dr. Reddy’s, Zydus, and Cipla originally only assert method-of-use patents for MM. Indeed, five of the seven asserted patents are method-of-use patents for MM. Lotus Pharmaceuticals is once again the exception, because Celgene asserts numerous patents directed to MDS as well as MM, which suggests that Lotus is seeking to sell its generic for both indications. In July 2017, Celgene commenced another case against Dr. Reddy’s that also asserted three MDS patents, suggesting that Dr. Reddy’s is now pursuing that indication as well. Third, Celgene has taken some wise cues from its earlier case against Natco. Celgene’s principle composition of matter patents covering lenalidomide (the ‘517 patent) will expire in October 2019. Yet, the true firepower within Revlimid®’s patent estate is its polymorph patents, which are directed to polymorphs of lenalidomide. These are the most important patents within its current arsenal because their expiration dates are much farther out. For instance, Celgene has asserted two polymorph patents against the current generics, including U.S. Patent Nos. 7,465,800 and 7,855,217. According to the Orange Book, the ‘800 patent does not expire until April 2027, and the ‘217 patent does not expire until November 2024. Thus, the polymorph patents are critical to Celgene’s attempt to extend its Revlimid® monopoly past 2022. All of the patents asserted against the current generics expire by May 2022, except the two polymorph patents, which expire in 2024 and 2027. Celgene has numerous polymorph patents, in addition to the two currently asserted against the generics (the ‘800 and ‘217 patents.) So why did Celgene only assert the ‘800 and ‘217 patents? 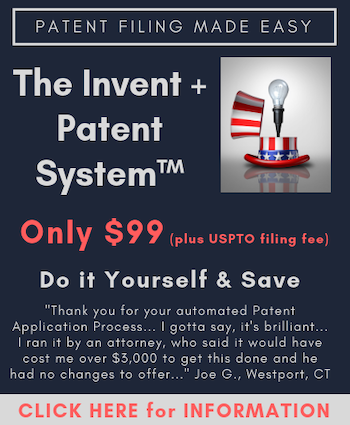 The principle reason is that the ‘800 patent, which expires in 2027, has the farthest out expiration date. In addition, the polymorph patents describe multiple different polymorph embodiments of lenalidomide, which are labeled “Form A”, “Form B”, all the way through “Form H”. The different polymorph embodiments differ based upon their levels of solvation or hydration. For instance, Form A is “unsolvated” and Form B is “hemihydrated”. They also differ based upon specific testing results (such as X-Ray powder diffraction) that serve as “finger prints” or identifying characteristics of each different polymorph. Some of Celgene’s polymorph patents expressly recite “Form A” in their claims, whereas other polymorph patents do not expressly recite “Form A.” During Celgene’s case against Natco, the Court construed those patents that claim Form A to be limited to all the characteristics of that form, whereas the patents that do not expressly recite Form A, are not so limited. For Celgene, the take-away is simple: proving infringement of the polymorph patents expressly claiming Form A will be more difficult, whereas proving infringement of the patents not expressly claiming Form A should theoretically be easier. This appears to be borne out in Celgene’s choice of patents in its new cases. Celgene’s current round of cases asserts only two polymorph patents (the ‘800 and ‘217 patents), neither of which expressly recite Form A, or any specific forms, in their claims. The new round of cases remain in their early stages, and Celgene’s case against Dr. Reddy’s is the farthest along. The parties are preparing for an upcoming Markman hearing where Dr. Reddy’s is teeing up a potentially dispositive non-infringement argument related to the polymorph patents. The polymorph patents are directed to “crystalline” lenalidomide. Dr. Reddy’s claims it does not infringe this patent because its generic version of Revlimid® is amorphous. That precludes it from being crystalline. Celgene, obviously, disputes that. The parties have not filed any arguments on this issue yet, but resolution of this dispute could, more than anything else, impact Revlimid’s ongoing monopoly after 2022, when the asserted method-of-use patents expire. This issue will be briefed for resolution in a Markman hearing, and the parties are scheduled to file opening claim construction briefs in late December 2017. There, Dr. Reddy’s will argue that the polymorph patents are limited to crystalline structures. The briefs will provide first insight into the strength of Dr. Reddy’s arguments. If Celgene loses this argument, it may contend that even if Dr. Reddy’s product is amorphous at certain stages of its lifetime, it is crystalline at others. Technically, that would be sufficient to show infringement. Indeed, the Federal Circuit previously suggested that a drug that is not infringing when sold, but converts into a patented polymorph in the patient’s stomach, may be infringing. See Zenith Laboratories, Inc. v. Bristol-Myers Squibb Co., 19 F.3d 1418 (Fed. Cir. 1994). Interestingly, in Zenith Labs., though the Court recognized that polymorphs forming in the stomach may be infringing, Bristol-Myers lost the case because there was no known way to adequately prove that the crystal form in the stomach was actually infringing. Another issue to watch is the validity of the polymorph patents, and whether any of the generics will file petitions for inter partes review (IPR) against them. Dr. Reddy’s was the first generic to be sued within the latest round of cases, and it was served in that suit more than one year ago. That means it is time-barred from filing any IPRs (except against the recently asserted MDS patents). Dr. Reddy’s decision not to IPR the polymorph patents likely reflects a number of factors. Dr. Reddy’s claim construction position suggests it believes it has a strong non-infringement argument. Dr. Reddy’s would most likely prefer to win on non-infringement, rather than invalidity. If it invalidates the polymorph patents, that provides freedom-to-operate for all the generics. By contrast, if Dr. Reddy’s can prevail on non-infringement, it can keep free riders out of the market. In addition, the Federal Circuit has not held that polymorph patents are likely invalid as obvious variations on a known compound. An issue that has periodically arisen is whether existing prior art methods inherently produced a claimed polymorph. In Glaxo Inc. v. Novopharm Ltd., 52 F.3d 1043 (Fed. Cir. 1995), evidence showed that a prior art method produced the claimed polymorph only sometimes, but not all the time. Because the claimed polymorph was not necessarily produced by prior art methods, it was not inherently anticipated. More recently, in In re Armodafinil Patent Litigation Inc., 939 F. Supp. 2d 456 (D. Del. 2013), the Court equally held that a prior art method did not inherently anticipated a claimed polymorph where it yielded crystals of the claimed polymorph sometimes, but a different polymorph at other times. In Armodafinil, the Court also addressed the purported inherent obviousness of polymorphs. The generic defendants argued that the claimed polymorph (for armodafinil) was obvious. They reasoned that persons of skill would have known to pursue the most stable polymorph of armodafinil for the purposes of drug development, which was the claimed Form 1. The Court disagreed because it found that polymorphism was “inherently unpredictable” and based on armodafinil’s unique nature, there was no reasonable expectation of success of obtaining a stable armodafinil polymorph in 2002. Implicit in the Court’s reasoning in Armodafinil is that a patent claiming a polymorph is not necessarily obvious. Even if it is obvious to pursue polymorphs, the validity of the patent will depend upon the nature of the compound, the state of the art, and the likelihood of successfully synthesizing a stable polymorph. The good news for Celgene’s asserted polymorph patents (the ‘800 and ‘217 patents) is that their priority dates, in 2003, are relatively early. Obviousness will have to be measured against the state of the art nearly 15 years ago. But the balance of the patents’ validity may hang in the uniqueness of lenalidomide. Dr. Reddy’s decision to refrain from filing any IPRs is moderately suggestive that showing obviousness of the polymorph patents may not be a slam dunk. How are these various polymorphs not obvious in light of the earlier compositions? Is this a case of “evergreening” that tends to draw much disdain towards the pharmaceutical industry? How in the world (given other Supreme Court cases) is not the “law of nature” exception at play with what a stomach will do with a known prior art item? It appears that Celgene’s purported argument is a “must fail” for either of showing a prior art inherency position – through its own argument (wrecking its ever green attempts as obvious) or the claims of the follow on items are “directed to” items controlled by a law of nature (and thus falling out on the eligibility aspect). Recognizing that the larger issue here may very well be the “Gist/Abstract” 101 sword (here in the guise of “Law of Nature” as opposed to “Abstract Idea”), the maxim of “that which comes before invalidates, that which comes after infringes” would seem to make the purported infringement argument of Celgene into an admission that the necessary presence (through the action of the stomach) must be present. I almost see this as a “Heads you win, tails I lose” conundrum for Celgene. Zachary – Thank you for the very thorough analysis. It would seem that another angle for Dr. Reddy’s to take with respect to obviousness is that FDA requires screening for solvates/hydrates/pseudopolymorphs. The POSA, therefore, would have arrived at the claimed crystalline hemihydrate form of lenalidomide through that screening process. Further, there would have been plenty of motivation to pursue a form of lenalidomide that exhibits physico-chemical properties (e.g., stability, solubility, etc.) that make it well-suited for administration to patients.